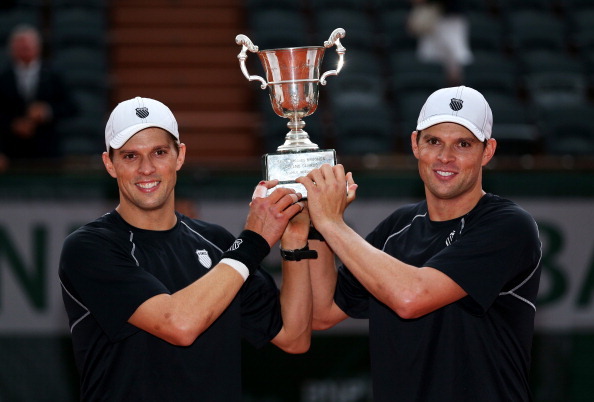 With their victory over Nicolas Mahut and Michael Llodra in the men's doubles final of the French Open last month, Bob and Mike Bryan are now one step away from completing a Golden Slam. Photo: Clive Brunskill/Getty Images. The dandy story that few folks are talking about is that the Bryan brothers are on a roll. Yes, they lost a couple of Davis Cup matches—the sky is falling—and endured a mini-slump in April. But aside from that, since losing last year at Wimbledon, they have been collecting trophies like a kid squirrels away Derek Jeter cards: the Olympic Gold, the US Open, the Australian Open, and the French Open, as well as titles in Sydney, Memphis, (at last) Indian Wells, Madrid, Rome, and London’s Queen’s Club. The boys are now the only doubles team to have won each major twice. 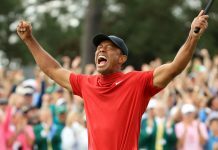 They are halfway to winning a calendar Grand Slam, and if they take Wimbledon, they can claim “The Bryan Golden Slam,” having won the Olympic gold and four majors in a row. Simply put, the Bryans have done something that no other twins, no other brothers—no other players, in fact—can claim. They have singlehandedly—well, make that “double-handedly”—forged the modern doubles game. No other team has been so dedicated and has so mastered the art form. The brothers are a force as they travel the tennis world, gathering a title in Melbourne today, checking into a suite at the Carlton in Paris tomorrow, with a hefty entourage including coaches, wives, and a kid. It wasn’t always that way. 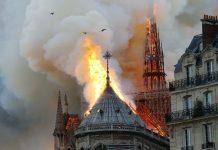 With wry smiles, they recall their days of slumming it at Paris’ Pierre Vacannes, which they say, with its dark almost ominous hallways, was like the Bates Motel with a French accent. There, the towels were paper-thin. The rock-like mattresses were so uninviting that the boys shoved them aside and slept on the floor. As for breakfast, the menu began and ended with corn pops. How exciting. Of course, the Bryans not-so-secret weapon is their “twin-ness.” They have the same vision. They think in tandem. They move together. They bounce together. They twitch together. For years, they shared the same house and even the same bank account. Yes, as grown men, they now live on different coasts with different families: Bob and his wife Michelle have a daughter, and are expecting a son in December; Mike lives with his British wife in Southern California and London. Still, the boys’ togetherness is so intense that fans were shocked that during their Wimbledon first round match, Bob actually took a bathroom break by himself while Mike remained on court. Goodness, has their bond been broken? As for the legacy they want to leave, the boys offer a breathtakingly modest vision. Yes, the twins are nice to everyone, and they have been nice to doubles. The game would not be the same without the Crate and Barrel Boys, without the incomparable Bob and Mike Bryan.